Geopacific Resources (ASX:GPR) is an emerging metals explorer focusing on gold and copper in Cambodia. Following a recently announced $23M capital raising, GPR’s flagship Kou Sa Project is now fully funded through to defining an initial economic resource and completing a scoping study. With funding secured and exploration progress on schedule, GPR is confident it will open Cambodia’s first ever commercial metals mine in the coming 2-3 years – a significant milestone for the rapidly expanding Asian economy currently forecast to grow 6.9% this year. Earlier this month GPR secured $9M from specialist resource funds, Tembo Capital Mining Fund (Tembo) and Resource Capital Funds (RCF) for ongoing working capital for its Kou Sa project. Since inception in 1998, RCF has supported 135 mining companies in 44 counties, spanning 29 different commodities. In exchange, GPR has ceded a 35.9% stake to RCF and a 17.9% stake to Tembo, resulting in a combined 53.8% stake in GPR. As part of a broader funding strategy, GPR then announced a two-stage accelerated rights issue, including an initial $7.5M placement to professional investors being stage one. The second stage is the retail component when the same offer is made to retail investors, expected to commence on July 20th and close on July 29th 2015. Both professional and retail investors are being offered 5.5c per share, with GRP expecting to raise a further $7M. The entire $14M is fully underwritten by Blue Ocean Equities Pty Ltd and is being offered with a discount to RCF’s and Tembo’s 6.0c per share placement. GPR’s rights issue was hailed as a success by Managing Director Ron Heeks. Commenting on the news, Mr. Heeks said, “The Institutional Offer was supported by the Company’s [GPR] two major shareholders RCF and Tembo resulting in a 100% take up of the offer. We are extremely pleased with the support of these major shareholders” he added. With the capital raising finalised, GPR is expected to have a market capitalisation of approximately $45M with over $23M in cash on its balance sheet. The Kou Sa project is a joint venture between GPR (85%) and the Royal Group (15%) – a Cambodian investment and development conglomerate tasked with escorting the project through to production given the company’s local knowledge and expertise. 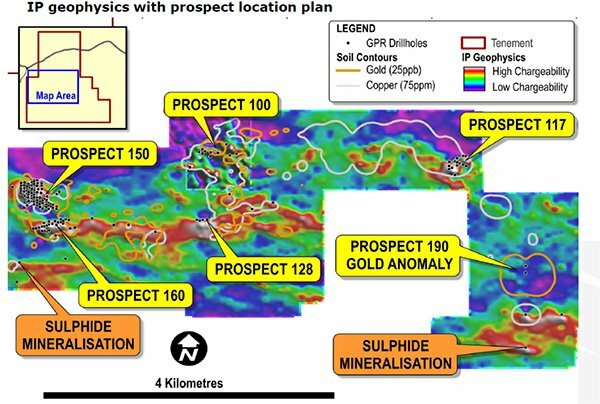 According to GPR, the explorer is targeting an initial economic resource of around 140,000 tonnes of contained copper and expects to obtain its Maiden JORC Resource this year before commencing a Scoping Study. Once start up production is underway, GPR expects to continue increasing its JORC resource and production volumes via ongoing exploration drilling, backed up by strong geophysics that have allowed GPR’s geologists to locate mineralised zones in more than 80% of drill holes done so far. Having brought in a chargeability geophysics team in 2013, GPR has been applying dipole-dipole Induced Polarisation geophysics (IP) to detect the most likely places for high-grade metals resources. Exploration work only began in late 2013, but already, drill testing has identified zones of high grade mineralisation with drill results including 5m at 128.64 g/t Gold and 4.01% Copper. The unusually-high correlation between GPR’s geophysics surveys and actual drilling has allowed for simplified drill-targeting, cheaper drilling costs and better quality drill results. As a way of clarifying its operational activities, strategy and exploration work, GPR has broadcast a promotional 3D Fly-through animated video of the Kou Sa Project on their website. 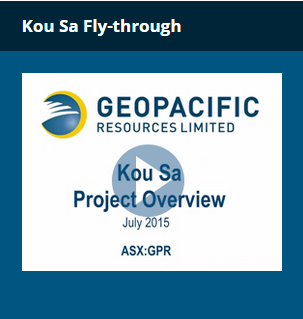 In the video, GPR outlines the background to its Kou Sa project, the best current prospects and also, touches upon its highly effective “silver-bullet” IP technology that was recently reported in ‘The Australian’ newspaper. GPR’s path to production and highly successful drill results are largely attributable to key personnel that joined the company in 2013 following the takeover of Worldwide Mining Projects Ltd. This includes Non-Executive Chairman Milan Jerkovic and Managing Director Ron Heeks, who possess over 60 years combined mining experience respectively. Mr. Jerkovic has worked with numerous metals explorers and has held positions at WMC, BHP, Nord Pacific, Hargraves, Tritton and Straits Asia Resources where he was the founding Chairman.. Mr. Heeks was a founder of Exploration and Mining Consultants and has had previous experience with WMC, Newcrest, Newmont (US) and many years with RSG Consulting. More broadly, GPR’s Management team now in place boasts over 120 years of collective mining experience, spanning 8 mines in 6 different countries. GPR’s $23M cash injection is expected to be used to fund the next 12 months of development at Kou Sa, allowing GPR to move the project from exploration to obtaining its maiden JORC resource and then on to a Scoping Study. In order for GPR to commence production, the company is targeting a Maiden JORC Resource and building up an initial mining inventory of approximately 140,000 tonnes copper equivalent. The target is to launch an initial high-grade operation at US$0.85/lb of copper equivalent subject to a 650ktpa processing plant. Given current estimates, GPR is on track to produce copper equivalent at $2,000 – $3,000 per tonne subject to the building of a processing plant, taking 8 months and costing around US$40M. The operational environment in Cambodia is gradually warming to Western exploration with only a few explorers spearheading exploration so far. 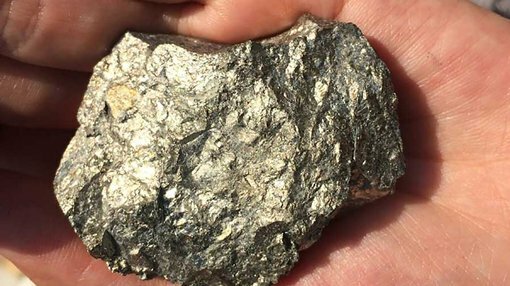 GPR is one of the first movers in the region and will potentially set the stage for Cambodia’s first ever gold and copper mine before 2018. Kou Sa estimate to get bigger?